We previously featured an innovative drink holder product in PosAbility Magazine called DRINK. Created as part of the Blue Badge Style ADDITION range, DRINK was borne out of the company founder Fiona Jarvis’ frustration at struggling to circulate at parties in a wheelchair when trying to hold a drink and not spill it. A challenge that most wheelchair users will have experienced at one time or another. 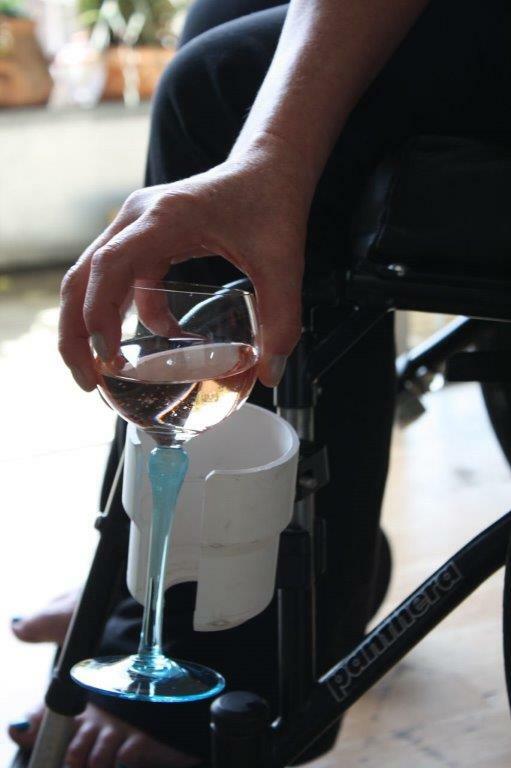 DRINK has been designed to attach to a wheelchair, crutches, even a deckchair, to allow individuals to have their hands free for other things. The inclusive design can hold everything from a champagne flute to a bottle of beer. Fiona commented: “You can’t circulate at a party in a wheelchair and hold your glass. DRINK is an elegant solution, which makes everyone effortlessly independent… without spilling a drop!”.